The Study on the optimised cascading use of wood commissioned and funded by the European Commission is now available for free download in the EU online bookshop. 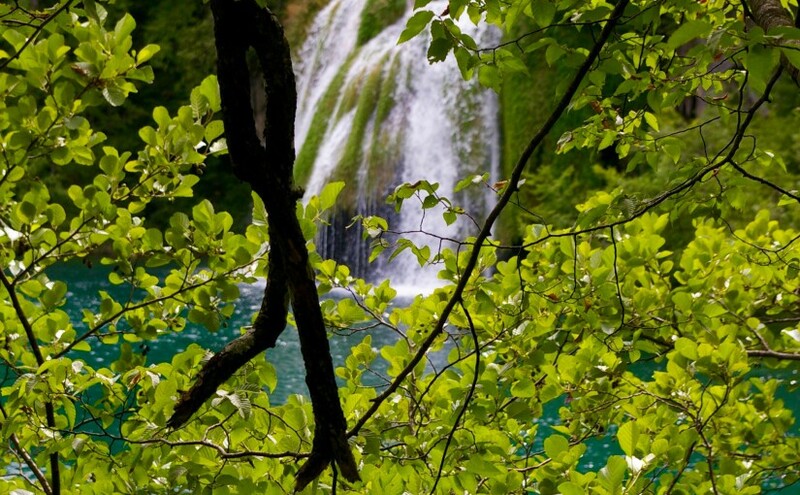 The objectives of the study are to define the cascading use of wood and assess the environmental and socio-economic impacts of cascading, to identify and analyse the barriers preventing cascading and the possible measures adapted to local conditions to overcome them in the European Union (EU). The results of the study are intended to serve as a basis to develop good practice guidance on the cascading use of wood to policy-makers and value-chain stakeholders. Cascading use is the efficient utilisation of resources by using residues and recycled materials for material use to extend total biomass availability within a given system. Cascading at the market level (sectors and products) can be quantified through wood flow analysis. The cascading use of wood takes place in the EU in a variety of forms and contexts. Identified measures to promote the cascading use of wood focus largely on the recovery of post-consumer wood in line with existing circular economy and resource efficiency initiatives. However, strong efforts are needed to address the current imbalance between material and energy uses of industrial residues where more significant potential for cascading exists. 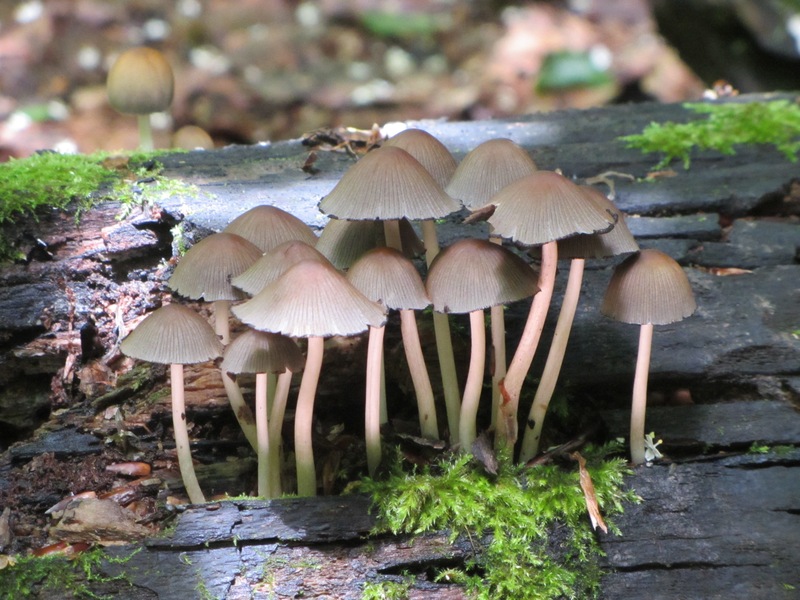 owhen it comes to tree genetics and physical environment, basic wood properties and their impact on end-product quality, as well as know-how to bring studies from individual to forest scale. Whilst the much needed data and expertise do exist, they are currently scattered across various disciplines with no effective means to cross-fertilise them. 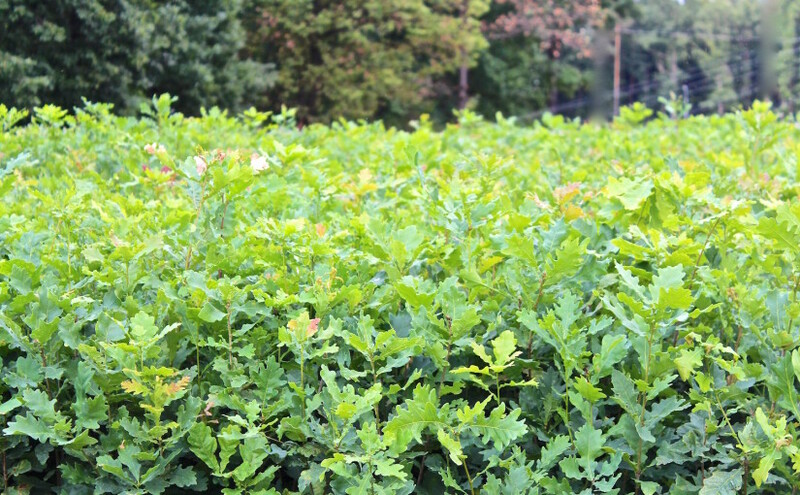 The TREES4FUTURE (Designing Trees for the future) project has undertaken a task of bridging these gaps by providing a holistic approach to forestry that integrates abiotic and biotic environmental aspects through biological responses, biomass production and industrial technology. On July 20th, 2016 the European Commission presented a package of measures to accelerate a shift towards low-carbon emissions in all sectors of the European economy. The package is a part of the Energy Union and a forward-looking Climate Change policy of the European Union, one of the key priorities of the Juncker’s Commission. It consists of the Proposal on how to integrate the Land Use, Land Use Change and Forestry (LULUCF) sector into the EU 2030 Climate and Energy Framework (see fact sheet) and also newly proposed Effort Sharing proposal on national emissions targets for all other sectors not covered by the EU ETS (see fact sheet). Alongside the LULUCF and effort sharing proposals, the Commission also presented a Strategy on low-emission mobility setting the course for the development of EU-wide measures on low and zero-emission vehicles and alternative low-emissions fuels. Together with last year’s proposal for the revision of the EU Emission Trading System (ETS), the package will contribute to the achievement of the EU’s commitments under the Paris Agreement on climate change. Prior to the publication of the Commission’s package, EUSTAFOR published its Position paper on the same issue, which claims that forests, forestry and forest‑based products not only have a great potential to contribute, but are also an essential part of the global solution to climate change mitigation. For EUSTAFOR and its member organisations it is of utmost importance that sustainable and multifunctional forest management is recognized by EU policies as an important part of the global solution for climate change mitigation. The presented Commission proposals will be subject of considerations of the recently re-launched EUSTAFOR’s internal Working Group on Climate Change. 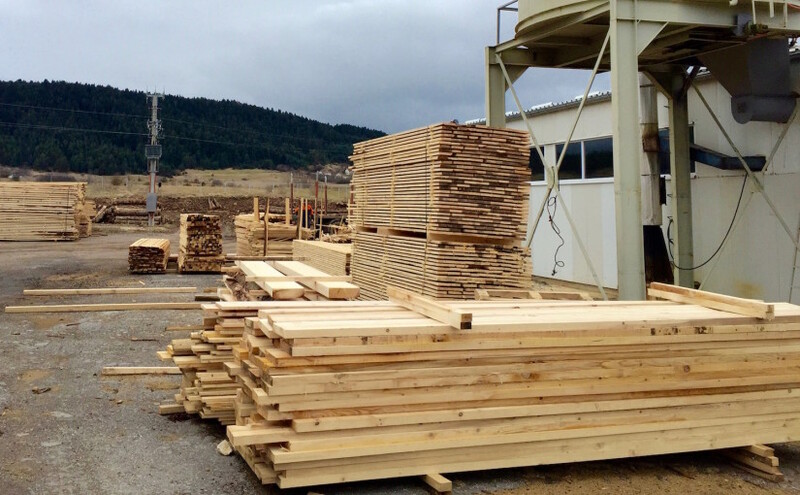 European Organisation of the Sawmill Industry (EOS) published a brief analysis of already known facts and their possible implications of Brexit to forestry and the wood working industries. EOS Member, CONFOR, has pledged to continue to provide strong leadership for the forestry and timber sector after Brexit and to work with respective structures of the UK Government to deliver the best possible outcome for the industries. CONFOR has issued a detailed paper on the implications of Brexit for its members. The document examines the key issues which are likely to impact most on the sector as soon as the UK enters into the negotiations on its leave from the European Union. Read more in the attached PDF and on EOS website. Read the whole article in IUFRO Spotlight No 39. European Forest Institute (EFI) has published a new issue of its “What Science Can Tell Us” series addressing Living with Storm Damage to Forests. Windstorms are a major disturbance factor for European forests. In the past six decades wind storms have damaged standing forest volume, which on a yearly average equals about the size of Poland’s annual fellings. The ev- idence also indicates that the actual severity of storms in the wake of climatic changes may increase during the next decades. Windstorm damages have many environmental, economic and social implications. Therefore, it is important to try to prevent these damages, and better manage those which are unavoidable. To do so, forest managers need to better understand the many- sided impacts of windstorm to European forests and the possible actions which help to minimize the occurrences of forest damage. 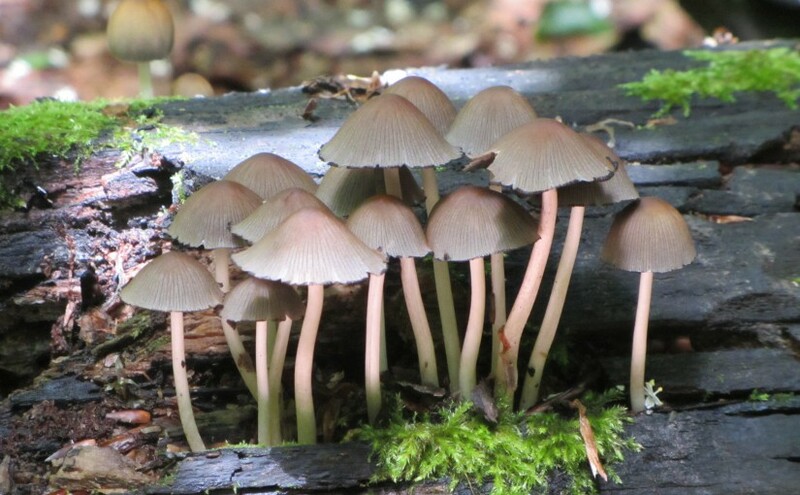 The European Forest Institute (EFI) is in the process of investigating the role of a European Forest Risk Facility Network, which would address the major potential disturbances for European forests, and provide support through scientific information and analyses that will help to prevent, control and manage these disturbances. The study provides a helpful background by addressing one important risk factor. It also sets an example of a quality study, which could work as a role model for similar studies to be produced by such a Facility in the future. 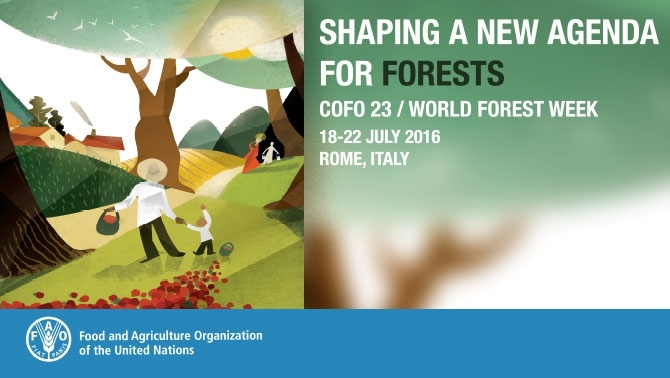 At its meeting on 21 June 2016, the ExCom decided to re-establish the internal WG on forests and climate change. EUSTAFOR member organizations need to be duly informed about the potential consequences of any Commission decisions on the role of forests and their management in the context of the EU post-2020 climate change policy. Does the Commission consider forests to be merely a static carbon sink or can management practices be used in an active way to sequestrate and substitute for fossil energy sources? How can LULUCF carbon accounting rules be made more transparent? Why is the use of biomass equated with the destruction of forests? In these and further aspects, it is important to clarify that forestry and forest management are part of the solution (and not part of the problem). Due to climate change, the problem of forests fires no longer remains a Mediterranean problem but concerns more and more European countries. Even if some countries still rarely have forest fires, when they do, they are severe. 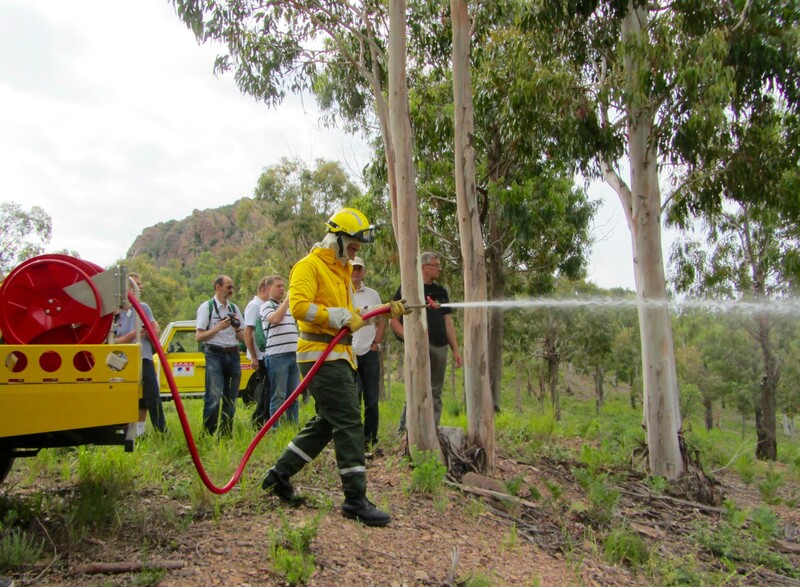 Several topics could be of interest to EUSTAFOR members, such as the creation of fire-fighting structures, water reservoirs and vehicle access roads, or forest habitats post-fire, etc. Therefore, ONF suggested organizing a workshop to enable best practice exchanges in the areas of prevention, surveillance and eradication of forest fires as a consequence of climate change. The workshop could be organized either within the EUSTAFOR network or with a broader participation, e.g. within the framework of FOREST EUROPE and with participation of forest services from other concerned countries, e.g. Canada. EUSTAFOR members will be duly informed about next steps. 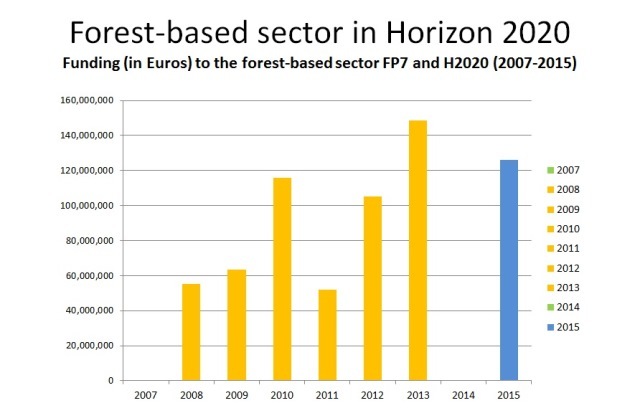 From 2007 to 2013, the forest-based sector saw a 100 % increase in EU funding, totaling almost EUR 600 million. In 2015, the initial phase of the EU Research Program Horizon 2020, more than EUR 125 million was rewarded the sector for research and innovation projects. All in all, FTP’s efforts over the past ten years has resulted in EUR 1 billion in EU funding for research and innovation projects. This upward trend is evidence of existing confidence that the sector is capable of delivering the sustainable bio-based products and services that will serve as the foundation on which to build a fossil-free society. FTP launched a new prioritization process to improve funding opportunities in the final years of Horizon 2020, the EU research and innovation framework program. In spring 2016, National Support Groups, representatives of FTP shareholders, research umbrella organizations and observers were consulted at the FTP Advisory Committee meeting on the best timing and procedure to discuss and collect input with their national stakeholders. The goal is to identify top priorities within the research and innovation areas described in the Strategic Research & Innovation Agenda for 2020, still to be addressed in the last phase of Horizon 2020. 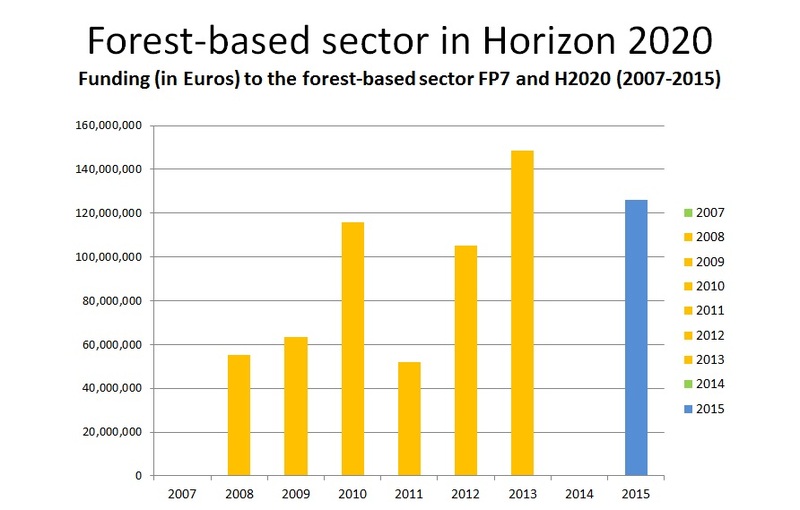 Up until May 2016, FTP invited forest-based sector stakeholders to submit their views and opinions about the research and innovation areas that should be given higher priority during the final years of Horizon 2020. Nearly 500 organizations, representing the woodworking industries, the pulp and paper sector and forest owners from 15 countries, participated in the consultation. FTP selected 90 crucial research activities from among more than 170 listed within the sector’s Strategic Research and Innovation Agenda for 2020. This broad, inclusive and transparent consultation is fundamental to outlining research priorities for the forest-based sector and will enable FTP to enhance its advocacy work and elaborate a sharp approach with policy makers while they prepare the Work Program 2018-2020 of Horizon 2020. The final outcome will be presented at the next FTP Board meeting in September 2016. Does climate change provide a moment for forests and sustainable forest management? “Climate change: the moment for forests and the forest sector” was the headline of the seminar organized by the Union of Foresters of Southern Europe (USSE) on 25 May 2016 in San Sebastian, Spain. The meeting focused on the review of the EU policy framework for climate and energy post-2020 and the role of forests, which was presented by María Gafo Gómez-Zamalloa (European Commission, DG Agriculture and Rural Development). Pieter Johannes Verkerk (European Forest Institute, EFI) presented the results of recent research on how European forests can contribute to the mitigation of climate change. The problem of the adaptation of forest ecosystems to changing climatic conditions was given considerable attention. Michele Bozzano (EUFORGEN) presented current approaches to the conservation of forest genetic resources in Europe whereas the issue of the adaptation of forest species in the context of climate change was elaborated by Alejandro Cantero (HAZI) based on the results of the REINFFORCE Project. Ander Arias González (NEIKER) presented the experiences of the Basque Country (Spain) as regards the role of forest soils in the overall context of climate change. Challenges caused by the changing climate are not only of a technical or environmental nature. They also influence the society at large. The ongoing debate on climate change therefore also provides opportunities to raise awareness among the society about the role of forests and their multiple benefits for social well-being. Luisa Cabello, a journalist and an expert in communication, explained methods which can be used to reach public opinion and build overall understanding and consensus about the importance of forests and their functions. 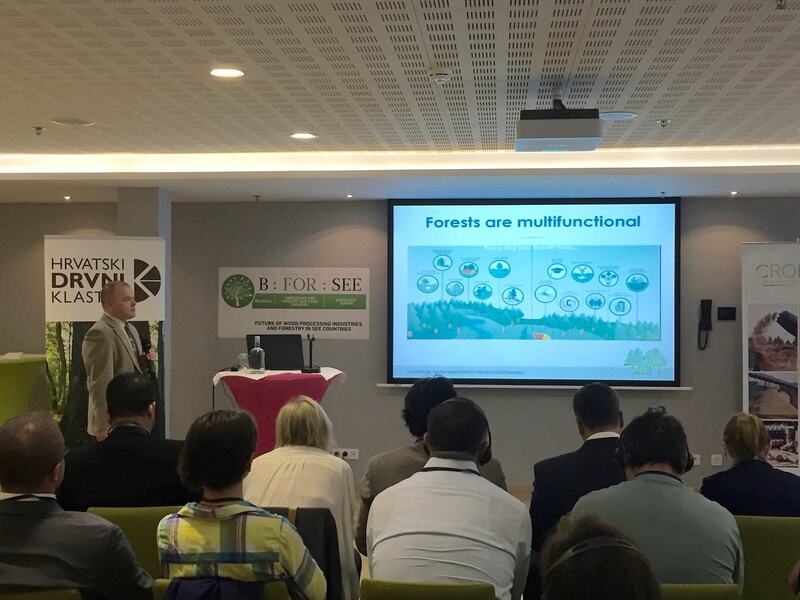 Piotr Borkowski, EUSTOAFOR’s Executive Director, participated in the discussions and presented the views of state forests on the topic. The presentations of the seminar are available under this link. Dear Reader of the eustafor.express! 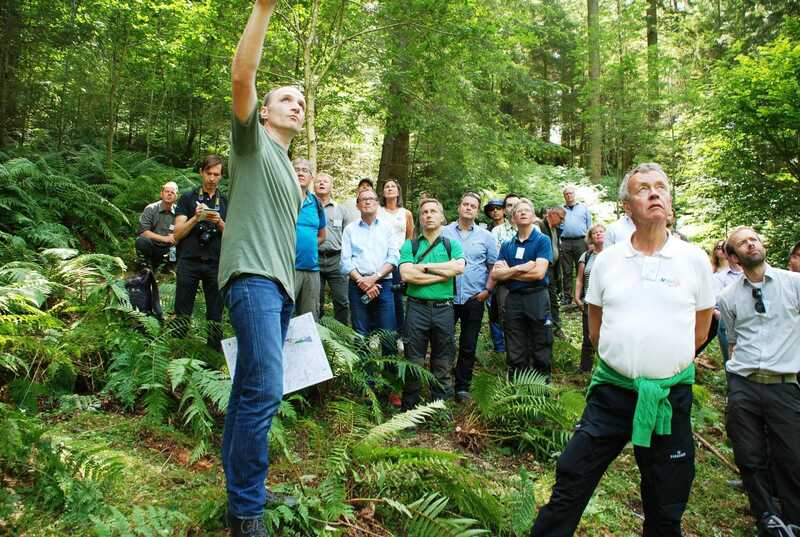 In June the Forestry Commission England hosted the European State Forest Conference 2016 in the beautiful Lake District National Park in North West England. This was clearly one of the most important of EUSTAFOR’s recent events and our hosts, Forestry Commission England, are absolutely deserving of our appreciation for bringing the EUSTAFOR community together in such a fabulous English landscape, sharing their experiences, challenges and success stories in managing forests in a diversified countryside which has exceptionally high societal expectations and demands. Next year’s event will be hosted by our colleagues from ROMSILVA in Poiana Brașov, in the Carpathian Mountains of Romania. Please already book your calendars for the dates of 13‑14 June 2017! Directly preceding the SFC, an Executive Committee meeting took place at which the decision was made to launch two important position papers by early July. The first one concerned the role of forests in the EU Climate Change Post-2020 Policy and the second provided state forests’ views on the review process of the two Natura 2000 Directives. Over the past weeks, EUSTAFOR was also involved in several other activities, including the “Beyond Wood” conference organized by the European Commission which provoked strong reactions from both the European Parliament and forest-based stakeholders. You will find further information about this event and many other topics in this month’s edition of our newsletter. 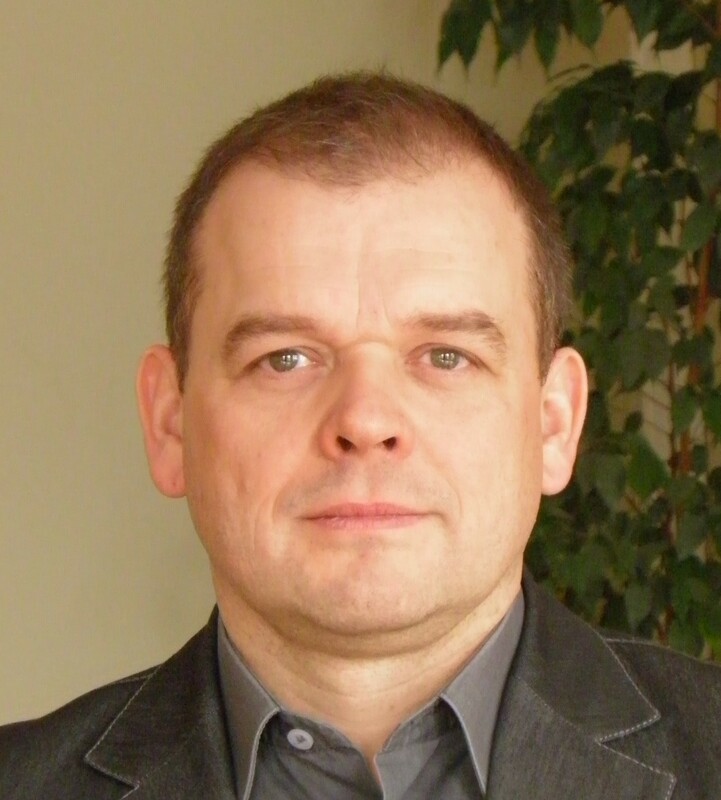 The end of June was also marked by the departure of Gerd Thomsen, EUSTAFOR’s Associate from Thüringenforst, who was part of our team for the past year. He will remain in Brussels, working at the Permanent Representation of the Free State of Thüringia to the EU. Many thanks go to Mr. Thomsen for his essential contribution to the success of EUSTAFOR’s 10th anniversary events which took place in the European Parliament in April 2016 and for building the association’s new website. A call has been sent out to members who would be interested in sending a new Associate to our offices. Please contact piotr.borkowski@eustafor.eu for more information. We hope you enjoy reading our summer edition. Please feel free to forward it within your organization! We wish you a very enjoyable summer vacation! EUSTAFOR actively participated at the annual conference organised by the Croatian Wood Cluster on 13 July 2016 in Brussels. The headline of the conference was how to encourage the investments in forestry and wood processing in South-East European Countries. 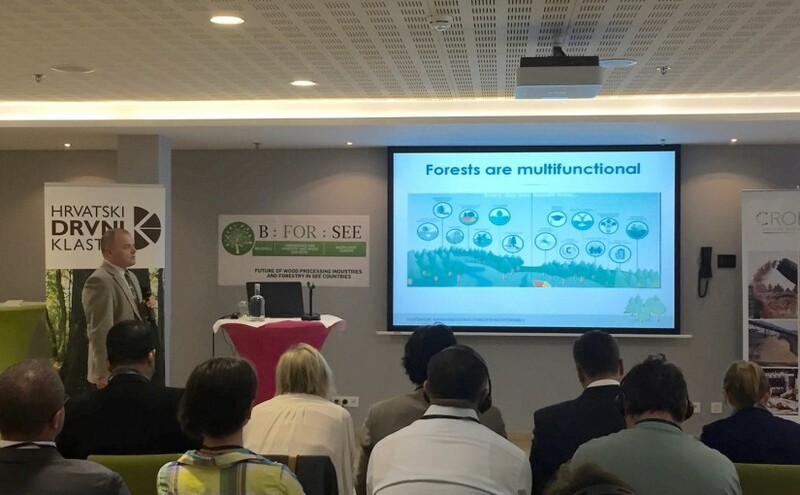 The Conference was organised under the auspices of MEP Marijana Petir (HR) and gathered broad representation of policy makers, forest managers and professional, forest-based industry representatives and other stakeholders. Piotr Borkowski represented EUSTAFOR at this event and delivered a presentation “Management of Forests in EU: Current Trends & Challenges Ahead”, based on the experience of state forest management organisations(SFMOs). Prior to the Conference, EUSTAFOR hosted a visit of Balkan foresters and representatives of the Croatian Wood Cluster in the European Forestry House and explained in detail the objectives and work modalities of our association. Representatives of the Public Forest Enterprise “Forests of the Republic of Srpska” in Bosnia i Herzegovina were invited to closer co-operate with EUSTAFOR. The first field trip of the conference was to Whitbarrow Scar, southwest of Kendal, where woodland management with conservation in mind was discussed. Non-native conifer stands on the Carboniferous limestone ridge were converted to open grassland biotopes and a mosaic of woodland patches of native hardwood species. With the help of extensive grazing, a self-induced succession by scrub species is prevented and the quality of open land biotopes is improved. 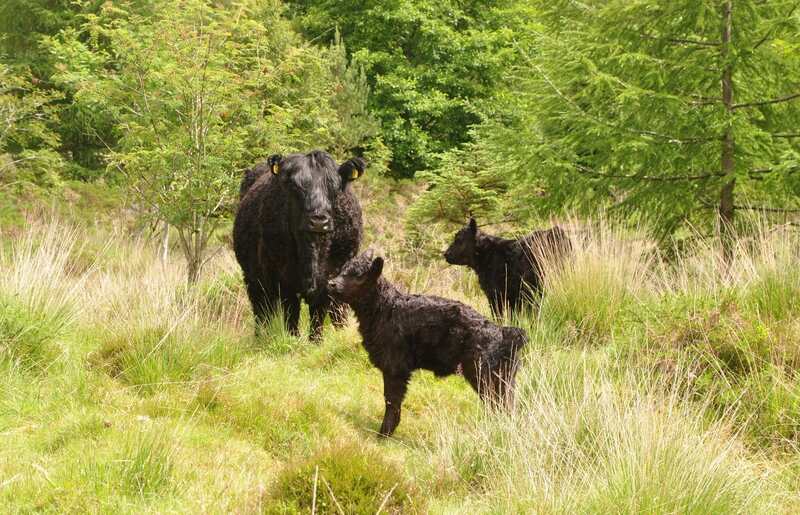 Particularly suitable for this task are Galloways, a sturdy cattle breed that can resist the harsh conditions in the region and allow for year-round grazing. During the following boat trip on Lake Windermere, Mr. Duncan Peak (CEO, Holker Group) talked about the challenges for modern business operations in and around the Lake District National Park. The economy and rural development face problems that arise due to the demographical development, restrictions and the overlapping responsibility of different authorities. What do forests have to do with art? A lot, in the Grizedale Forest! It is the UK’s first forest for sculpture. Since 1977, leading international artists have created sculptures in Grizedale Forest which makes it very popular as a tourist destination. Hayley Skipper, Arts Development Curator for the Forestry Commission, presented the national Forest Art Works program. But not only art attracts visitors to Grizedale Forest. The Forestry Commission’s strategy is to combine different attractions to ensure an optimal use of the existing tourist infrastructure. Another part of the forest enterprise’s management model is “Adventure Forest.” Tristram Meyhew (Director, Go Ape) talked about how best to integrate adventure activities in forests. 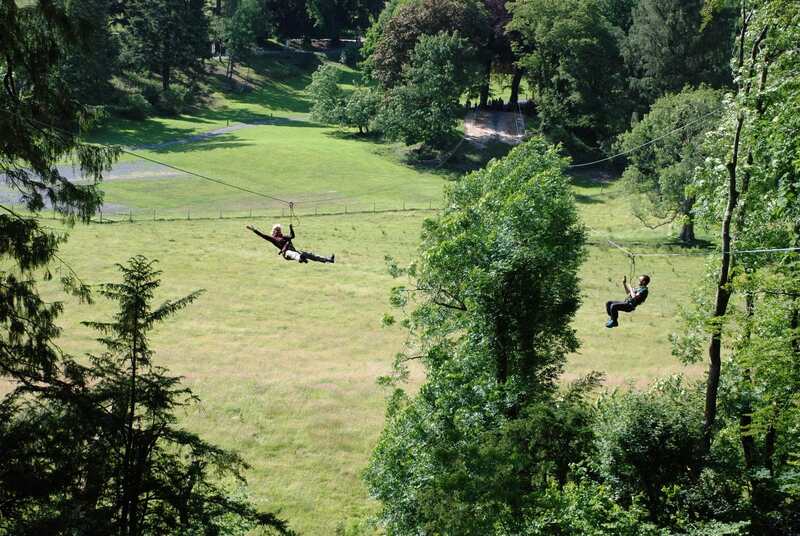 Afterwards, theory was turned into practice: The participants experienced some thrilling adventure activities, choosing between zip lines, Segways and electric biking. 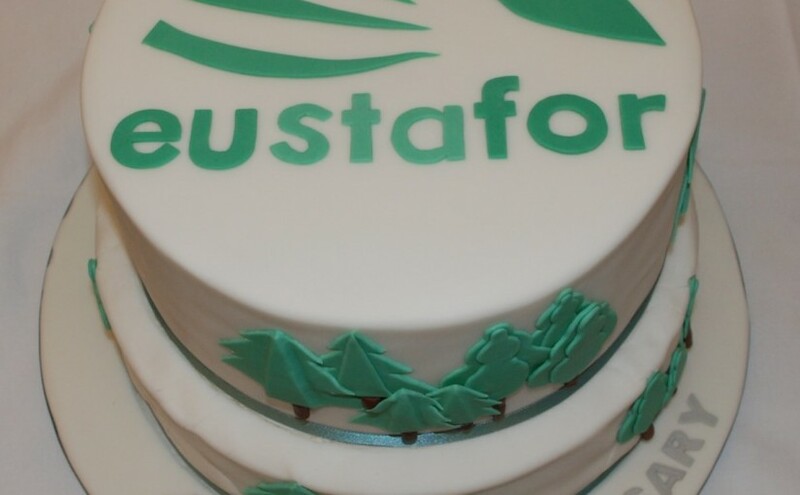 The first day ended with a champagne celebration of EUSTAOR’s 10-year anniversary. Sir Martin Holdgate (former Director General, IUCN) gave the first presentation of the second day of the conference, showing beautiful pictures of “The Lake District – a changing landscape.” He corrected the assumption that the English Lake District is a natural wilderness. He gave an overview of the development of the area since the last ice age and explained how the landscape has been influenced by man for at least 6000 years. Approximately 700 years ago, woodland cover had been reduced to close to 15% of the landscape. The Lake District truly has a long history of changing land use. In spite of this – or perhaps even thanks to this – it has remained a beautiful cultural landscape, giving inspiration to literature and the global conservation movement, and now aspiring to become a UNESCO World Heritage Site. When on holiday, who would expect a meal that’s less tasty than what they can have at home? Who would want to sleep in a bed less comfortable than their own? These provoking questions were asked by James Berresford (Former Chief Executive of Visit England) in his presentation “World Class – the new norm.” After highlighting the importance of the tourism industry, which has significant growth potential, he pointed out that this industry is in a period of dramatic change due to new customer expectations. Tourists expect the places they visit to exceed their expectations, be unique and allow them to send exceptional “selfies” to their friends back home. Forests can therefore be destinations of choice! To learn more on how this can be achieved, see Mr. Berresford’s presentation. The challenges and obstacles private forestry faces in protected forests were presented by Stuart Goodall (CEO, Confor). He would like the right balance to be found between environmental and economic interests, warning that the rural industry is facing a shortfall in the supply of wood, especially softwood which is no longer considered desirable in national parks. Mr. Goodall pointed out that non-conifer woodlands are, in most cases, not economically viable and emphasized that, by applying modern standards of management, softwood forestry can create profits while at the same time ensuring habitats, recreation and livelihoods are maintained/created. During the afternoon, the management of Douglas fir under a continuous cover forestry system was presented and discussed on a field trip to Dodd Wood (North Cumbria) where some spectacular trees could be seen. Chris Watson, Works Supervisor, explained that water retention is of major importance on the steep slopes above the Bassenthwait Lake and that continuous cover forestry has proven to be more successful than clear cuts for meeting water retention objectives. The participants also stopped at the Lake District Osprey Project viewpoint, where Nathan Fox, Recreation Ranger, showed where ospreys can be seen nesting and fishing in the lake. On Friday the Forestry Commission organized a field trip to Ennerdale Valley which lies on the northwestern edge of the Lake District National Park and is home to some of England’s most vibrant natural environments. 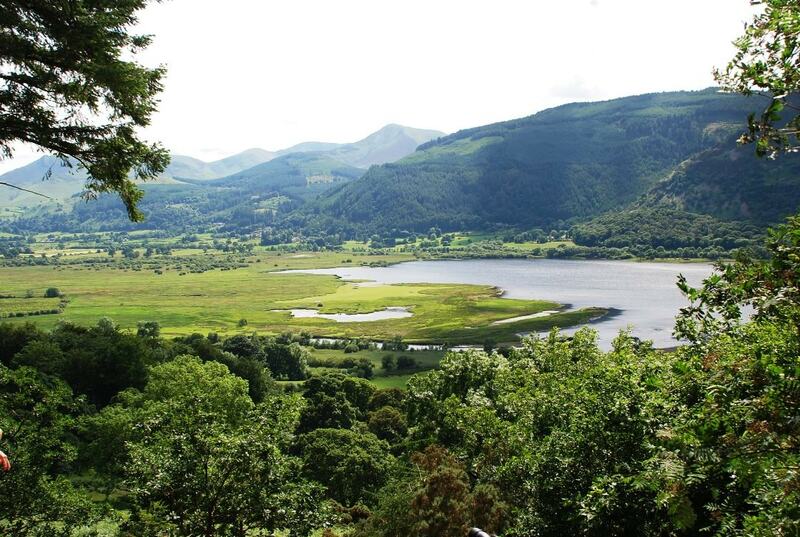 A walk through the valley showcased the Wild Ennerdale Project, an ecological restoration partnership between the main landowners – the Forestry Commission, National Trust and United Utilities – which aims to convert the valley to a more natural landscape. Walking along the River Liza, the only river in England that flows in a natural riverbed from its source until it joins Ennerdale Water, participants were shown the successes of the project: The non-native conifer forest has been changed and native broadleaves are extending and increasing through planting and natural regeneration. 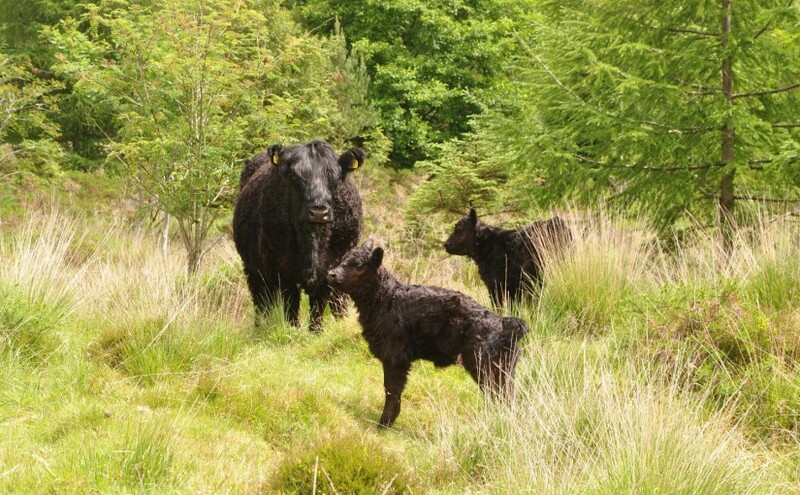 Beneficial for the regeneration is the extensive grazing by Galloway cattle that, contrary to sheep, disturb the ground, creating favorable germination conditions for trees. A destructive Phytophthora fungus infected many larch trees in the valley, so forest protection issues in remote areas were also discussed. Please visit the EUSTAFOR Intranet to find all presentations, speeches, pictures and other information about the conference. 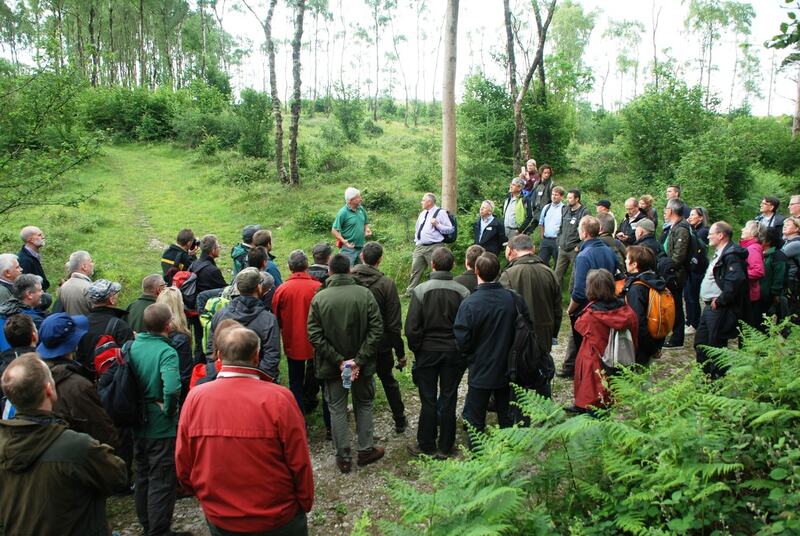 Our thanks go to the entire team of the Forestry Commission for organizing this great event! How Could the Brexit Influence European Forest and Environment Policies? June 23rd, 2016, became a historical date. It will find its way into the history books as the day when the citizens of the United Kingdom decided to leave the EU. 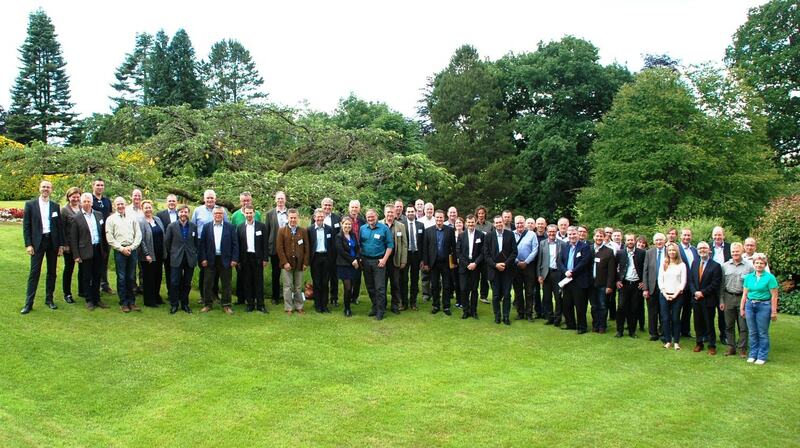 The referendum took place during this year’s European State Forest Conference hosted by the Forestry Commission England. Although not a topic on the agenda, the ‘Brexit’ was of course one of the liveliest topics of conversation discussed in the corridors. Among many general aspects, one question stood out: What could be the impact of the Brexit on European forest-related policies? One week before the referendum, Georg Winkel and Jakob Derks (European Forest Institute, EFI) published an essay entitled “Forest Policy and Economics” which examines the role and importance of the UK in EU forest and environmental policy making and the future impact of a Brexit for both UK and EU forest and environmental policies. Interested in the results? The essay can be downloaded here. 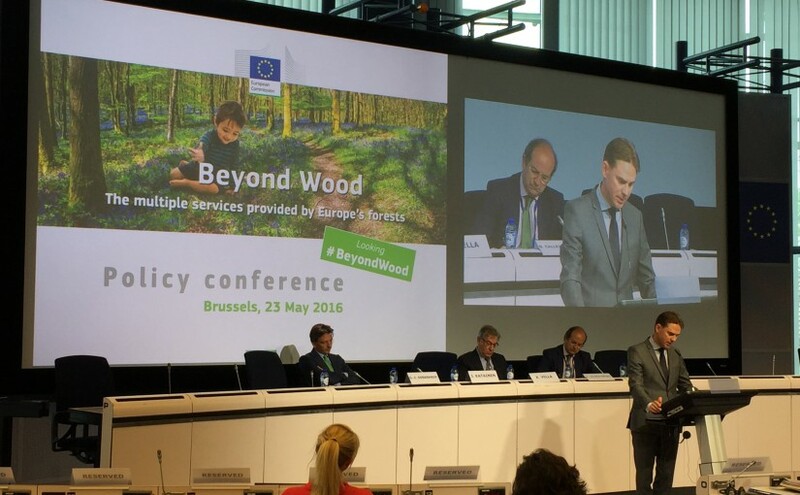 On 23 May 2016 the Directorate-General for Environment (DG ENVI) of the European Commission organized a conference in Brussels to focus on the multiple services – other than wood – provided by Europe’s forests. The all-day event was attended by 190 participants including EUSTAFOR and member State Forest Management Organizations (SFMO). The growing pressure on forests caused by the rising demand for wood and biomass for the bioeconomy and energy generation, the growing threat by climate change and the need to find the right balance between the multiple services forests offer to the economy, our environment and society were main drivers of the conference and were well reflected in the program. Multifunctional sustainable forest management (SFM) was praised as a key concept for finding the right balance between these needs and expectations. This had particular meaning for the SFMOs who practice SFM in their daily management. But the question remains: Do we do have the same understanding of SFM? 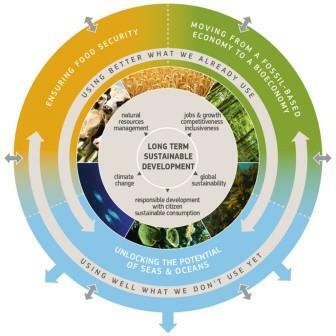 The morning session was chaired by Daniel Calleja Crespo (Director-General of DG ENVI) who pointed out in his opening statement, that the concept of ‘bioeconomy’ is not an invention of modern times. Throughout most of its history, Europe has been a wood-based economy. Even when wood was, for a while, a less important commodity, forests continued to play a key role for humanity. Today, as noted by Mr. Crespo, SFM is making “a real comeback” and is claiming its place in the bioeconomy. Although wood remains a great material and a precious resource, Mr. Crespo reminded participants that the conference would focus on forest ecosystem services beyond wood, on the the importance and potential of forest ecosystems for the general society and the economy. 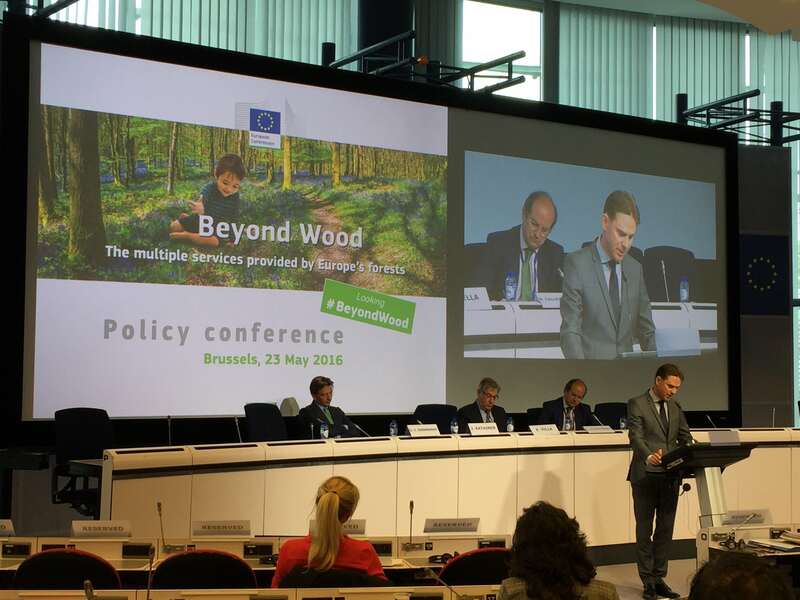 Jyrki Katainen (Vice-President of the European Commission for Jobs, Growth, Investment and Competitiveness) gave an overview in his opening speech about the multiple benefits that forests provide, from traditional wood products to ecosystem services. He had to admit that it is “rather difficult to find negative aspects related to forests” but pointed out that it is a challenge for policy makers to figure out how to value the benefits provided by forest ecosystem services in real terms. He gave some concrete examples of forest ecosystem services and highlighted that the Commission is working to better understand the opportunities they present and is seeking ways to better assess their value. Forest Europe estimated the value of non-wood forest products to be at least EUR 2.3 billion in 2010. Mr. Katainen also raised the issue of new wood-based products. The European economy must become sustainable and circular, and the forest industry is providing a positive example. Research and innovation is essential for decarbonizing Europe’s economy and substituting energy intensive materials and fuels with renewable raw materials. Bio-refining is a key technology that can be expected to grow rapidly. Mr. Katainen concluded by pointing out that SFM is the solution for providing both ecosystem services and forest based products and that “economic viability is of crucial importance for maintaining the multiple benefits that forests provide to society, and rural populations.” Because of the complex nature of the issues, Mr. Katainen warned against black‑and‑white thinking when dealing with the multiple benefits that forests provide. Whereas Mr. Katainen had reflected in a balanced way on the importance of forests for the bioeconomy and for ecosystem services, Karmenu Vella (European Commissioner for Environment, Maritime Affairs and Fisheries) stated that forest owners and managers only seek to maximize profits and lack knowledge of and interest in other aspects of multifunctional forestry. He went so far as to question if there is even a common understanding of SFM and whether SFM is actually practiced in European forests. He further questioned whether Europe is credible when encouraging the rest of the world to manage their forests sustainably. Mr. Vella’s highly controversial speech provoked reactions from both the European Parliament and a group of 6 private and public forest owners (see article below in this edition of the eustafor.express or read more here). MEP Gerben-Jan Gerbrandy (NL) referred in his keynote speech to the initiative “The Economics of Ecosystems and Biodiversity” (TEEB) that analyzes the values provided by biodiversity and ecosystems in economic terms. He referred to some specific assessments which say that CO2 emission reductions could be worth 3.7 trillion dollars annually by halving the current global levels of deforestation. Economic scientists also arrived at a macroeconomic figure regarding biodiversity that Mr. Gerbrandy shared at the conference: The loss of global biodiversity is costing Europeans citizens 3 % of GDP annually, which is double the growth of GDP in the EU at present. In his opinion, that figure should have a strong impact on EU economic policies, especially since the main objective of the current EU Commission is to create jobs and economic growth. Regarding forests, MEP Gerbrandy sees a change of focus from forest policy which has been mainly dominated by timber production towards a policy more reflective of environmental concerns. 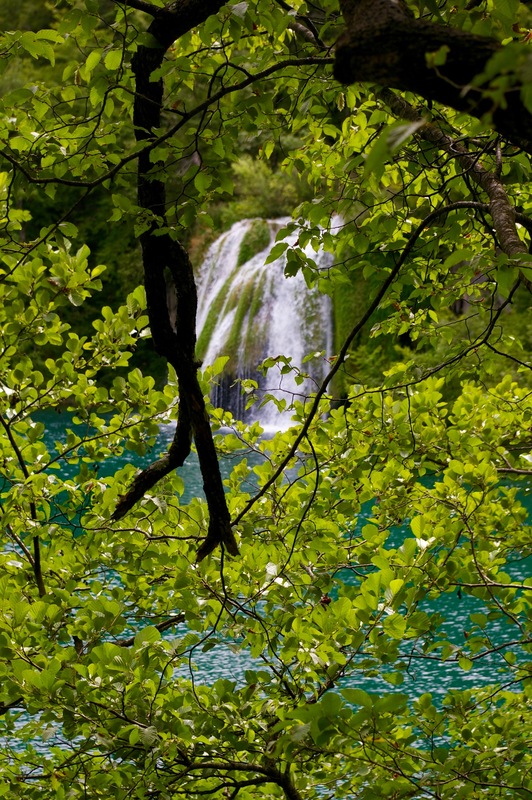 Nowadays forests are relevant for many different EU topics such as climate policy, bioeconomy, the quality of water and air, and rural development. A strong necessity for an EU-wide coordination of forest policy has been widely acknowledged. While he understands the political attitude of the Member States who emphasize the subsidiarity principle because they don’t wish to relinquish control over the political decisions concerning their forests, he also sees the need for developing a clear EU competence concerning forests because of their overarching societal importance at European level. Just as an EU-wide environmental policy has been developed, Mr. Gerbrandy called for adopting the same EU-wide approach to forests. He mentioned good examples of SFM in the EU that counter negative stories such as the one concerning the planned logging in the Polish Białowieża Forest where he hopes that the Commission will intervene. Mr. Gerbrandy ended his speech with a strong appeal not to “make forest policy part of the mutual distrust that is currently the dominant factor in many EU policies!” and called for first agreeing on the principal of European sustainability criteria for forests. The opening session of the conference was followed by three thematic sessions, each consisting of three presentations followed by rounds of questions from the participants. The presentations can be downloaded here. The conference ended with a final panel debate that discussed the questions: “What are our key challenges and opportunities? Where should we go? What will it take to get us there, and who needs to take action?” The whole conference was recorded on video and can be seen in 6 different languages.